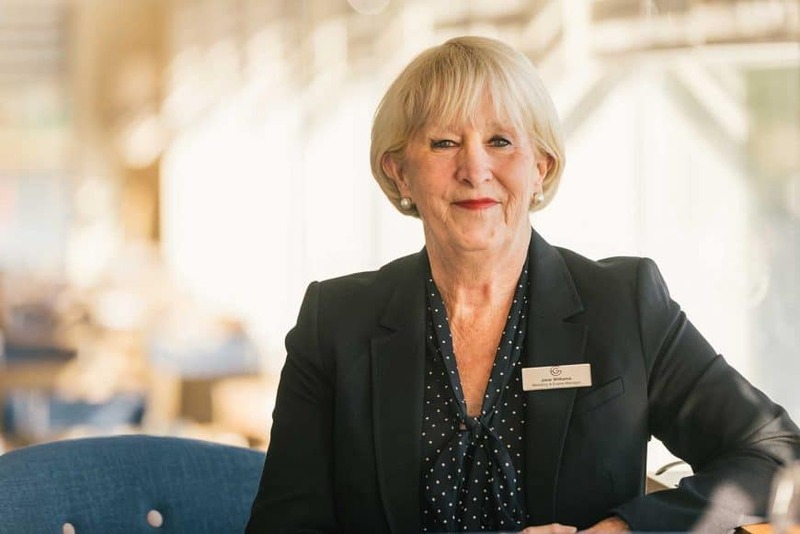 We caught up with our Weddings and Events Manager, Jane Williams, between bridal appointments to talk about trust, friendship and how The Greenbank family makes such a difference! how long have you been part of The Greenbank’s wedding team? I’ve been planning weddings and events for eleven years, and am proud to say that I’ve been with The Greenbank for the past nine months. What makes The Greenbank such a special venue? Oh, it’s the exclusivity. I’ve been to places before where there have been several brides on a beach together, different wedding cars passing each other on the same promenade…all sorts. At The Greenbank you’re the only couple sharing an exclusive, unique day of celebration with an outstanding view. Also, our staff are incredible. The way they bend over backwards to make everything perfect is simply amazing. If you had to choose, what’s your favourite part of The Greenbank wedding experience? I feel very privileged when a bride and groom specifically choose The Greenbank for their wedding day. The way they put their trust in me, the venue and staff means the world to us. What is the largest wedding you’ve ever organised at The Greenbank? We’re continually booked to full capacity (120) – so that must say something! When a bride and groom who I’ve gotten to know as people, and more importantly as friends, take their wedding vows. I think that’s a truly wonderful moment. OK, on a different note – what is the grandest request you’ve ever fulfilled? Oh, that’s a tough one. A definite career highlight is arranging a flypass from HMS Culdrose by a naval officer’s squadron for his wedding day – what a spectacle. At The Greenbank we love to put together luxury boat trips with drinks and canapés – and as the only bride in sight, all eyes are on you! What is the first thing you say to brides-to-be planning their wedding at The Greenbank? My mission is to give brides their dream wedding day, and as well as style, class and elegance I love anything that is different and unique. We discuss themes, food, entertainment – nothing is out of bounds! What inspires you as a wedding planner? The simple goal of fulfilling a bride and groom’s dream wedding is what keeps me passionate. I love it. Finally, any words of wisdom for brides taking their first steps towards matrimony? Yes: enjoy everything. Don’t worry at all – you’ve all the help you need at The Greenbank. To chat Greenbank weddings, special requests or to book a show around the venue, simply call Jane on 01326 312440.